Croatia have ended Russia’s World Cup dream after they won 4-3 on penalties to meet England in the World Cup semifinals in Moscow on Wednesday. Croatia were better side of the match, but Villarreal midfielder Denis Cheryshev put Russia ahead in the 31st minute with curling shot from outside of the box. Andrej Kramaric leveled the match for Croatia before the break from a Mario Mandzukic cross. 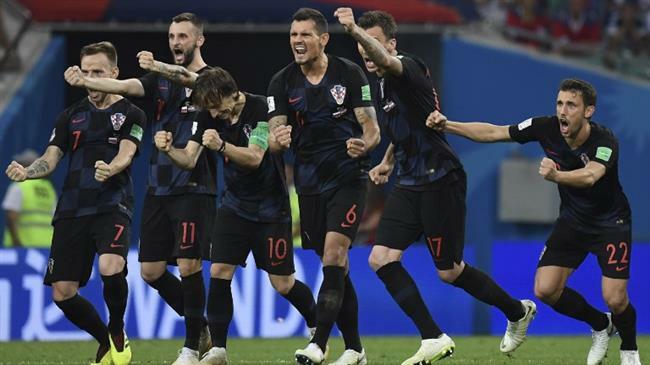 Domagoj Vida gave Croatia advantage in extra-time from a Luka Modric corner. Russia’s Defender Mario Fernandes brought his side level through a header in the 115th-minute to send the match to penalty shootout where Russians journey through their own World Cup ended in heartbreak at the Fisht Olympic Stadium.